Home > Resources > Design Tips > Measure Up Your Kitchen with these simple tips! 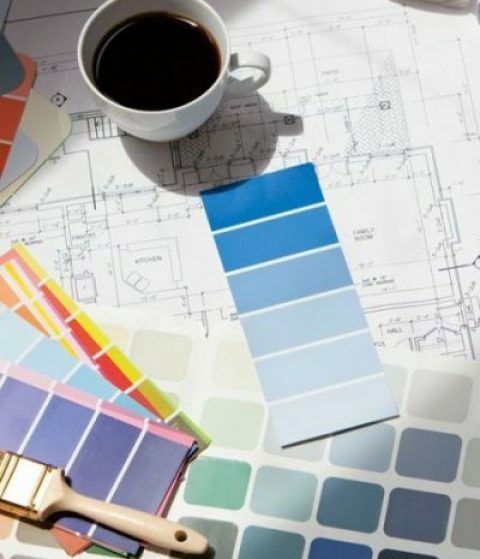 Renovating should be an enjoyable and satisfying process and it all starts here… Having an accurate start point will set up the entire project for success; from budget setting through to project sequencing. We call this the measure up. The first and most important step – the measure-up! You’ve all heard the saying: “measure twice and cut once”? Well never have those words been so true than when considering a Kitchen Renovation. What do I need to Measure Up my Kitchen? 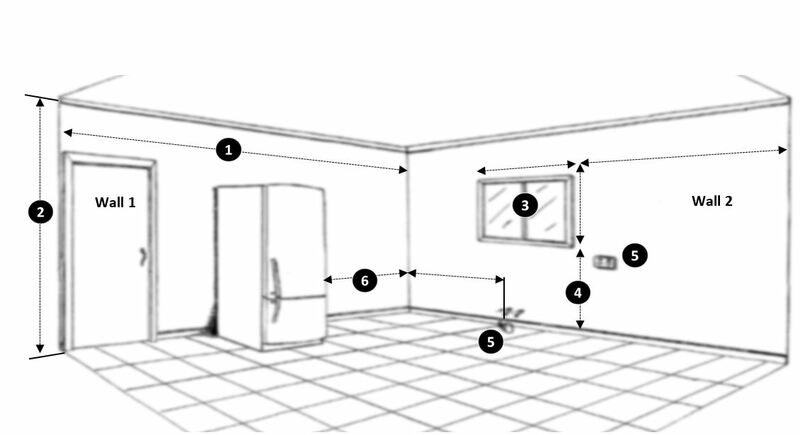 Here is the basic list of equipment to achieve an accurate measure up of your space. a grid paper (or even a blank piece of paper). pencil and eraser for changes. a ruler to help you scale out your measure up sketch. 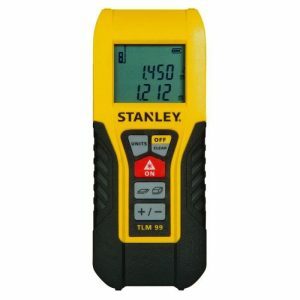 a Laser Measuring device – the ultimate in accuracy – not critical but really cool! * Professional Tip: take photos of each wall (especially wherever existing services are present) and keep these on your phone or ipad so they are easily accessible through the design stage. Here are a couple of simple rules to be aware of – this is not the time to take corners! avoid rounding up or down to numbers finishing in 0 or 5. This will allow all measurements to be completely accurate on your final plans. ensure you measure from the wall, not existing tiles. Failure to do this can affect measurements by 20mm in some cases. 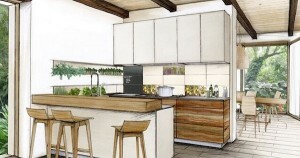 Sketch your room starting with the first wall you will place cabinets onto. Work methodically around the room in a clock-wise direction. Measure the length of each wall (1) – begin by measuring along the floor to get the exact length of each wall, then measure the same direction about halfway up the wall. Finally, measure the same direction a third time at the ceiling. Walls are rarely square and can often be out by as much as 20-30mm or so. You need to know the exact size of each wall, so measure each one at these three points. 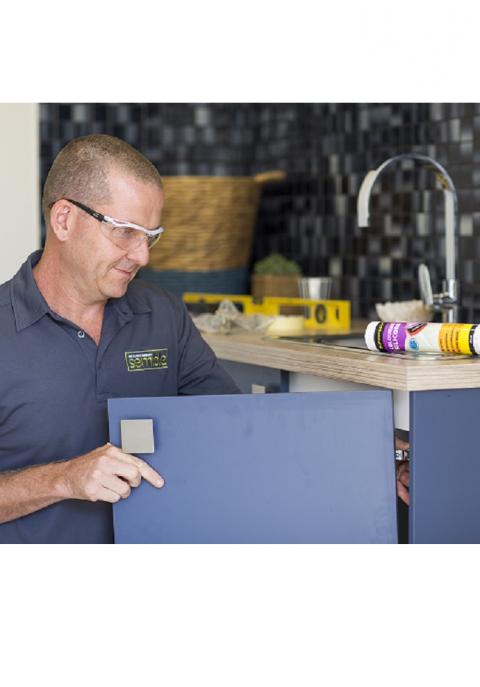 This will allow you to design your cabinets using the widest of the three measurements being sure to include Filler Panels for installation tolerance. If your kitchen has any beams, posts, nib walls or anything that protrudes the space then be sure to accurately measure it. This will be important later when discussing different design solutions with various tradesman or industry experts. Follow this by measuring the height from floor to ceiling in at least three places (2) on each wall to account for any unevenness (we need at least 2115mm for Semble tall cabinets to fit). Measure and draw any doors, windows (3). Measure both the location of the doorway on the wall and the size of the doorway, including the trim or moulding. Start in the left-hand corner of any wall that has a doorway in it. Start at a spot halfway up the wall in the left-hand corner and measure from there to the edge of the door trim. Next, measure the width of the door including the trim on both sides. If the wall happens to have more than one door, measure each door location separately starting at the left-hand corner of the room and resist measure from the edge of one door’s moulding to the edge of the next door. Note all locations and dimensions clearly on your measure up. In addition to doors, measure and mark all windows from side to side. Be sure to measure from the bottom of any window trim to the floor and the top of the window trim to the ceiling (4). 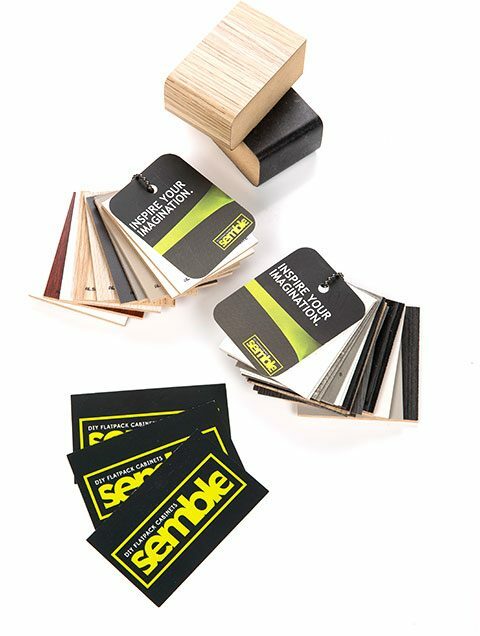 Semble benchtops finish at 910mm from the floor so you will need to clear any window sills. Mark accurately any pipes or electrical outlets (5) so we can design around these later. Starting from a corner measure to the centre of outlets, plumbing, and power points and mark these accurately on your measure up. Finally, record the dimensions of any appliances which will be remaining in the design. Start by measuring the Width, Height, and Depth and mark them into the desired positions. 1. On any door or window opening that has molding or architrave – start your measurement of the wall from the corner to the outside edge of the molding (this is the effective space you can use). 2. You might mark the location of any old or new light switches and where you might place new lights – this will help think you about positions for lighting and electrical switches that may be required. Now that you have all of the dimensions you need, you can actually draw your new kitchen layout. Start by playing around with different locations for the appliances, but always keep in mind where electrical sources are located, unless you’re planning on moving them to accommodate an appliance’s new spot. Why not download our handy Measure-up Guide and use this template when you starting your next project?